To be a good doctor means more than just being good at medicine. Technical excellence is only part of any profession's definition of goodness. But how, in today's world, how do you work out what goodness means in your profession? 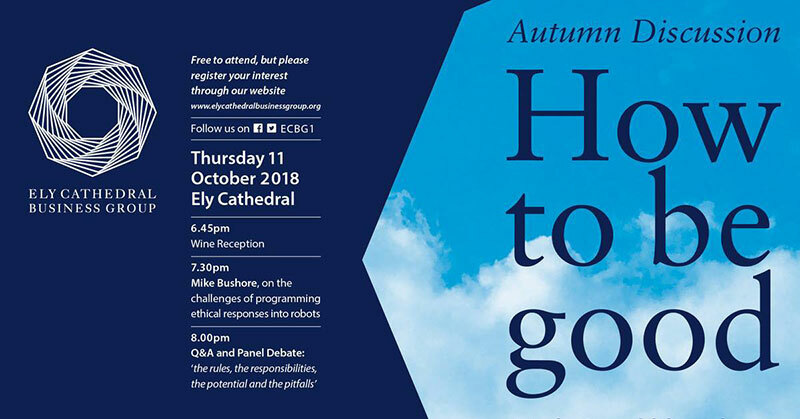 Ely Cathedral Business Group have lined up fantastic panel of speakers including The Guardian journalist and founding member of The Independent Andrew Brown, senior civil servant and former infantry officer in the British Army Edward Wingfield, local HR professional Beverly Dixon, and the award winning author Francis Spufford. Under the awe inspiring octagon tower, they will discuss the rules, the responsibilities, the potential and the pitfalls of their work in an open forum facilitated by Michael Watson, Senior Vice President of Global Sales, Avon. We’ll be joined by Mike Bushore who will discuss the challenges of programming ethical responses into robots deployed in the futures market on the trading floor. Mike Bushore is the CEO and Board Director at Tyler Capital, a London-based trading firm, focused on the systematic application of machine learning to the global financial markets. Mike is the architect of the firm’s global strategy, oversees performance management for the group, assists in the product design of the machine-learning agent, and coordinates trading and operations for the firm. 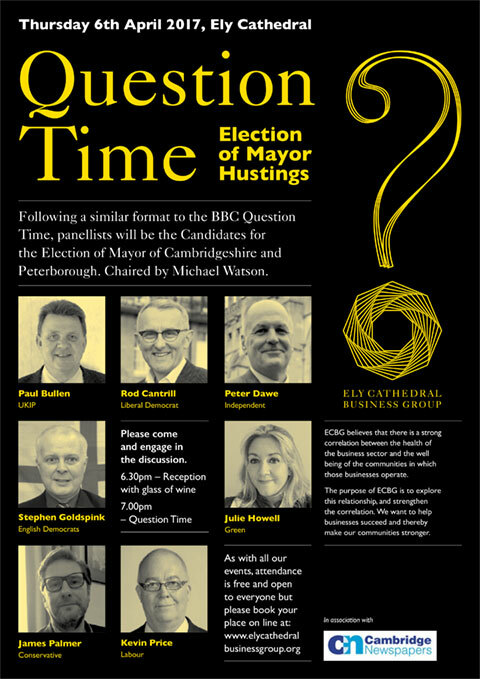 ECBG has arranged a Hustings between all the candidates, providing an opportunity to hear directly from them and to question them on their intentions and ambitions for the role. 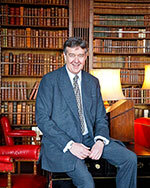 Speaker: Lord Hutton of Furness Former Secretary of State for HMG in Work and Pensions; Business and Enterprise; Defence. All change? 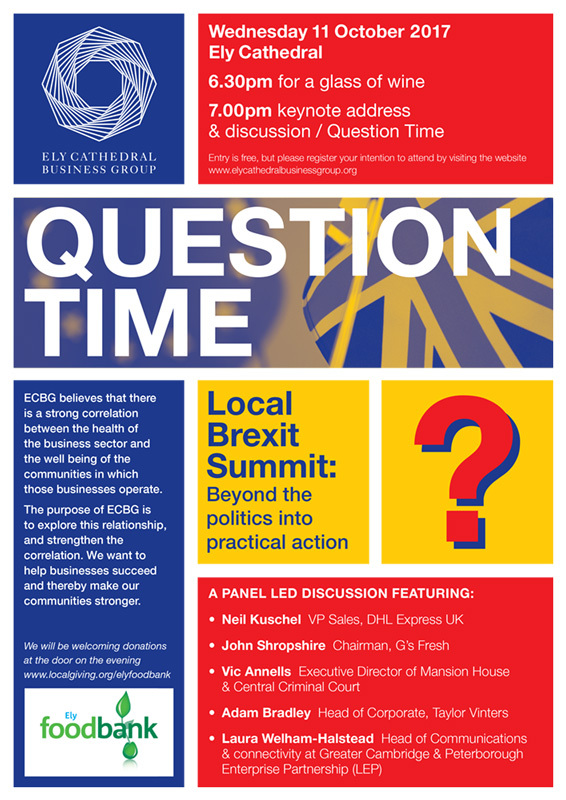 With seismic change underway in UK and Global politics, what effect will this have on businesses, communities and global security? Lord Hutton served as an MP from 1992 to 2010. During his time in government he held several prominent Cabinet positions, including secretary of state for defence; business, enterprise and regulatory reform; and work and pensions. Lord Hutton was also a minister in the UK Department of Health from 1998 to 2005, where he helped lead the modernisation of the National Health Service. The European Union - Are you In or Out? Our country faces an important decision later this year with a referendum to decide on our involvement in the European Union. 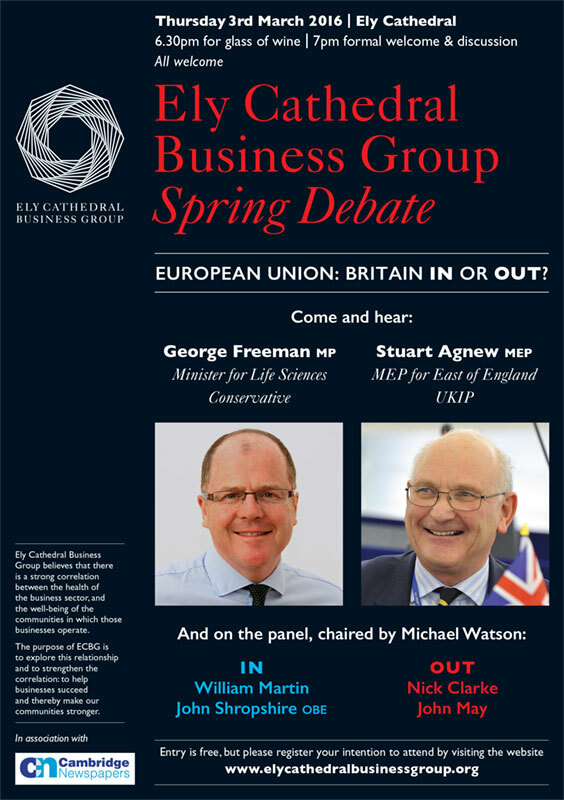 In recognition of this, ECBG are holding a debate in the Cathedral on 3 March 2016 to explore the arguments on both sides of this important issue. "The role of innovation and agricultural science in addressing 21st century Global Development challenges. Does business have a role?" 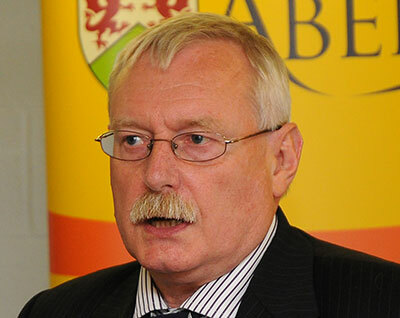 Professor Wayne Powell BSc, MSc, PhD, DSc, FLSW, Chief Science Officer of Global Agricultural Research Partnership CGIAR. www.cgiar.org. 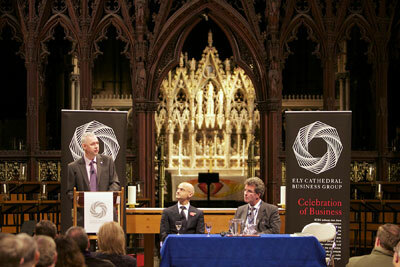 Discussion led by Lord Charles Cecil, Chairman of Samos Investments Advisory Ltd.
"IT'S UP TO US! 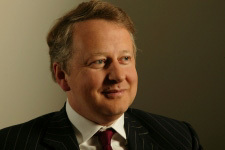 Taking stock of personal and corporate responsibility for the wellbeing of community"
Keynote address from Phillip Blond, Founder Director of ResPublica. Thursday 1 November. Robert Hallam, MD of John Lewis Cambridge, Ali Parsa, CEO of Circle Partnership "behaviours and structures in business that deliver sustainability".